Singapore Post is also known as SingPost, is an associate business of Singapore Telecommunications Ltd. It provides logistics, retail solutions in Singapore as well as Asian Pacific Region. Singapore Post Ltd. provides management services in the domesticated market and also international delivery services. It offering services and products, financial services through it’s post office. The company won the Certificate of Gold Level Award from (EMS) Express Mail Service. 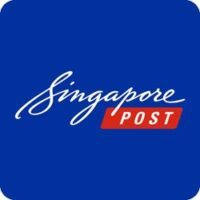 SingPost having 62 Post office centers, 298 Automated Self-service machines in Various Locations in Island.